While most of the attention has been focused on oil prices over the last few weeks amid the OPEC fanfare, one area that has been largely ignored has been the steep rally in natural gas prices. Since reaching multi-decade lows in March, gas prices have snapped back higher, with futures recently reaching a 2-year high. With the winter months already on the approach and a severe cold weather front emerging, gas prices are likely to be supported near-term by seasonal factors. Helping to bolster demand and buoy prices is a very low drill rig count that has only recently begun to recover after the multi-year rout drove the number of operational rigs as low as 81 back in August. Since then, there has been an approximate 50.00% increase in the count to 119, reflecting the improvement in prices as producers begin to restore formerly shuttered production. While falling inventories may be supportive of rising prices, growing production may negate any increased demand, potentially cutting the most recent rally short. The more-than-doubling of Natural gas prices over the last 8 months could not come amid more perfect conditions. The languishing natural gas rig count and weaker production fundamentals coupled with a sudden cold spell that enveloped the US East Coast with record low temperatures was a surefire way to catalyze a rally in prices. However, to generate further upside momentum, temperatures will have to remain below average for an extended period of time to ensure demand continues to outpace supply by a wide margin. The greatest evidence of the supply-demand mismatch is the current drawdown in stockpiles. According to the Energy Information Administration, inventories fell by 42 billion cubic feet (BCF) last week, slightly under the prior period’s drawdown of 50 BCF and missing estimates of 43 BCF. Although this data could be viewed as negative, should inventories fall back below the 5-year average by the end of December, it would potentially reflect better conditions for natural gas prices to continue appreciating over the near-term. Over the medium-term, the advent of higher prices is likely to see additional producers reenter the market after opting to mothball production back in the early months of the year amid the price rout. Despite the potential upside resulting from seasonal factors such as drawdowns due to increased heating needs, much of this has already likely been priced-in by traders. The two seasonal demand peaks that occur throughout the year are during the summer as utilities demand more gas for power production and winter when approximately 50.00% of US households use gas to heat their homes. Should rising production lead to incrementally smaller inventory draws over the coming weeks, the potential result is a steep correction in prices from current levels. Additionally, warmer weather conditions could add to the downside risks. 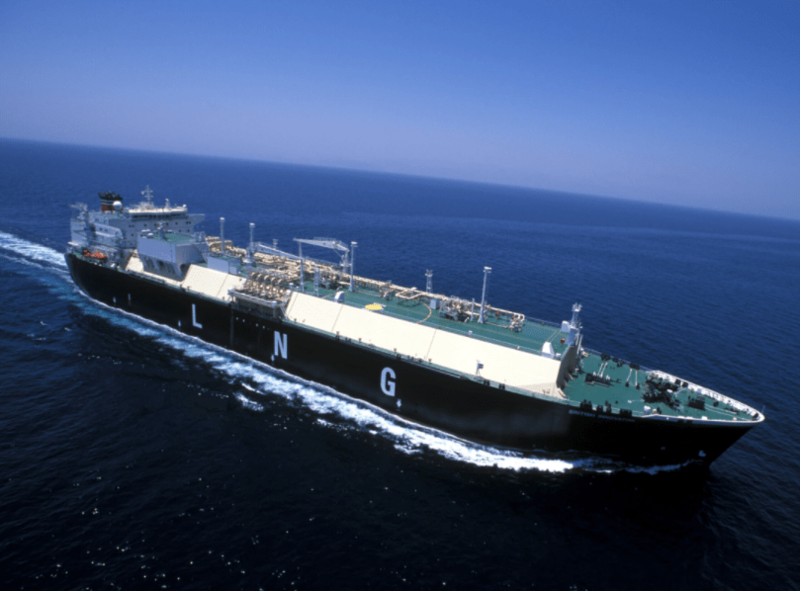 While gas prices have further room to run to the upside, especially as US exports ramp higher over the coming years, it does not necessarily imply a one-way trade higher for natural gas both medium and long-term. Higher prices will beckon back higher cost production, prescribing a horizontal range for prices as supply and demand find an equilibrium. On a shorter-term basis, the price action is reflecting continued bullishness for prices over the coming days and weeks. 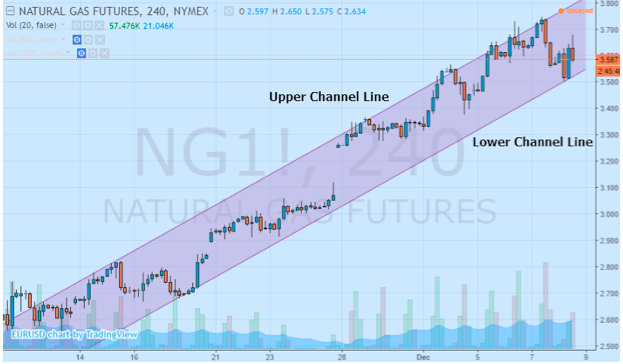 Natural gas has been trending higher in an equidistant channel pattern on the 4-hour candlestick chart for the better part of the last month. The formation suggests that ideal bullish positions taken near the lower channel line should target the upper channel line for an exit. However, should gas experience a candlestick close below the lower channel line, it could suggest a reversal lower and correction, especially if prices are unable to overcome the highs posted on December 7th at $3.748 per MMBtu. From a more medium-term perspective, momentum indicators are suggesting that the recent rally is overbought. 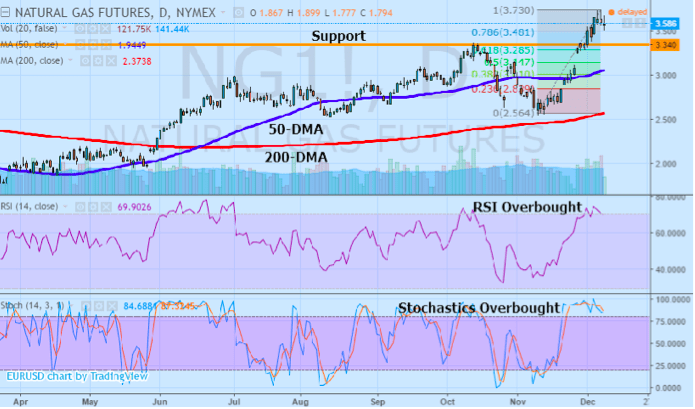 The Relative Strength Index above 70.0 alongside the %K and %D lines of the Stochastic Oscillator trending north of 80.0 could imply a momentum overshoot on the upside for gas prices. Any retreat back below the overbought conditions suggests a pullback lower towards $3.010 to $3.0285, according to the Fibonacci levels. However, standing in the way of any deeper retreat is the 50-day moving average which nearly coincides with the 0.500 Fibonacci level. Chasing after the momentum higher in gas may be unwise considering the likelihood of a pullback before the resumption of the upward trend. 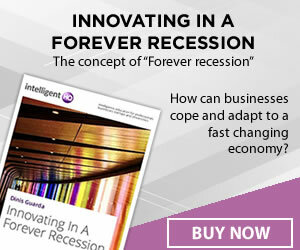 Over the near-term, gas prices will be very susceptible to weather conditions and the state of US inventories. Seasonal factors may prevent the rig count from rising enormously over the next few weeks, however, colder conditions could see a pickup in demand that keeps gas prices buoyed. Additionally, weaker production or higher drawdowns which are a function of growing demand or falling supply could benefit prices. Nevertheless, the risk factors remain. The spectacular rally in prices could find itself under pressure, pulling back near-term before resuming the more medium-term higher from multi-decade lows.